We started running into some timeout issues when loading tens of thousands of nodes with full text indexes into Neo4j. We decided to have a look at it from a default install and then tune all the way up to acceptable levels. Currently when loading nodes via the Rest API it would fail at around the 4000 node mark. Below are the recordings of what we needed to do to get the import of nodes running successfully. Of course if you using native java, then bypassing the rest api and using the intrinsic batch api will be MUCH faster! We first ran calls via rest without batching, and then later introduced batching. Optimise Threads from your client to be below 80 as Neo4j Server allocated 80 threads to the JVM, so no point in sending rest calls on more than 80 threads. 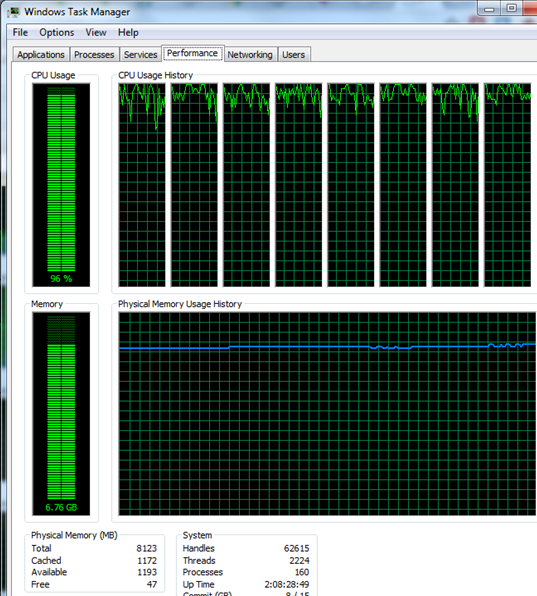 (This is for a machine with 8 cores (Neo4j allocated 10 threads per core)). So if you neo4j server is a dual core (10 * 2) = 20 threads. Quad Core = 40 Threads. Use the Rest batching API. If using Gremlin, use parameterised queries. Download the following tool to get a graphical view of GC and Heap statistics. Loading 30000 Client Nodes into Graph, With one relationship and +- 5 Full Text Index entries. Neo4j is running on the Windows Azure Cloud Storage Emulator as a worker role. Note the arrow shows allot of second generation GC collects (Black Lines), just after this occurred the import failed on roughly 4500 node entries and then we started getting timeouts from the Neo4j Server. 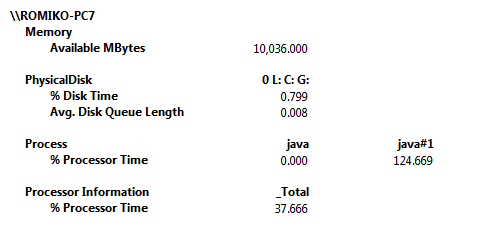 Java.exe was roughly consuming between 150MB to 200MB of memory. 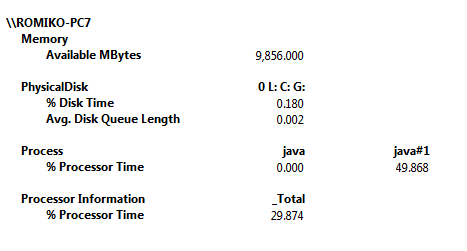 Java.exe was roughly consuming between 600MB to 750MB of memory. The heap size seemed to be reasonable location as there was plenty of available heap space to grow. Timeouts started to occur at around 3500 nodes. The Blue line is working nicely, this is the used heap, which is remaining consistent at around the 450MB mark. Load data to new clean DB store. The custom heap size, definitely increased the productivity of the Garbage Collector, by having less second generation collections occurring, however, it has not solved the root cause of the problem, where web timeouts are occurring on the rest calls at around the 3500-4500 node mark. The Rest API timed out at 3:11 local time. What is interesting is for the next 5 minutes, the server was utilisation all my 8 cores on the CPU, and I guess this was to flush or roll over the transaction logs, thus perhaps being the main cause for the rest API to become unresponsive. We can see evidence of this in the file system. As the datetime stamp is exactly 5 minutes after the 3:11 log entry when rest API stopped. Note size of file is in bytes. i.e. 3, 362,544 is +- 3MB. 20/09/2011 03:15 PM 3,362,544 nioneo_logical.log. The first thing I added was to ensure the JVM is running in Server Mode, 64 bit with a stack size of 2048k per thread (default is 1024k for 64 bit). I added the following to lines to the neo4j-wrapper.conf. The next part is to improve the write performance of the Neo4j database system. To do this, we can go two ways. Thus reducing the frequency of flushes from memory to the db disk subsystem, which will then reduce unresponsive Rest API responses. Here is a screenshot, of the commands executed via the console. I will be updating the NUGET package Neo4jClient to support disabling the TX logs shortly as well via rest api calls. What is interesting is that Java is only using 706 memory. So the conclusion here is that by turning of the TX Log rollers, it did not cause any performance or responsive increase on the rest API. We then disabled all Full text index creation calls when the nodes are created, to see the performance, and try isolated where the issue is coming from, is it Neo4j, Lucene or a combination of both. By disabling the Lucene index calls, we got a faster response time. Roughly 4.5 nodes per second as apposed to 3.9 nodes per second. However, the real test will be to see if the REST API becomes unresponsive, the JVM did indeed become unresponsive with the index calls turned off, this occurred at around 20000 node creations. A Node Creation is two rest calls for us, a gremlin query to check the node exists and then a POST. Attempt Load 37619 Nodes, each node with one relationship. Only +- 22000 Nodes made it. JAVA VM ran out of memory. Below are the GC and Heap stats. Note the Java VM crashed here, it also ran out of memory. Which does not make sense, as the heap as plenty of space available. This is rather concerning as each Create Node operation is 2 rest requests, one a gremlin query to check node does not exist and then another POST to create the node. I would not expect this to have become unstable. We thought that perhaps using un-parameterised queries was the cause of the instability due to allot of JIT compilations occurring. 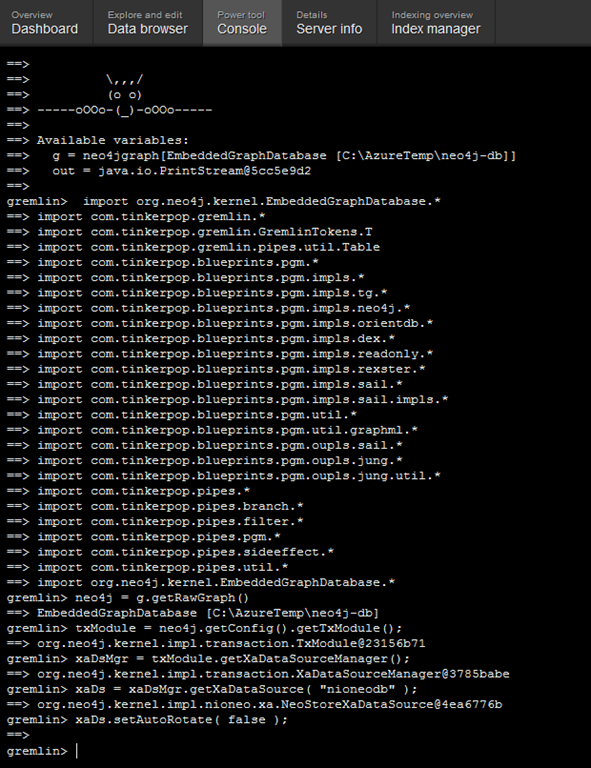 So we decided to update the Neo4jClient to use parameterised gremlin queries for JIT optimisation. We also updated Neo4j to 1.5.M01, so a combination of both might improve the issues we experiencing. Neo4jClient NuGet package is now using PARAMTERISED queries to reduce JIT compilation. Loaded 37619 Nodes, each node with one relationship. Below are the GC and Heap stats. Theoretically, the heap should be less used now, due to JIT compilation being reduced by passing in parameterised gremlin queries. 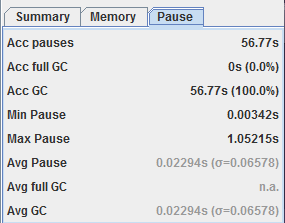 We noticed that with the parameterised queries, we got faster client loads, instead of 5 per second, it went to 6 per second. We noticed immediately that the heap usage is allot less with parameterised queries. Notice this graph below, where the blue lines are allot less dense than all the previous graphs. The graph at the bottom in the image below is with the parameterised gremlin queries and Neo4j 1.5.M01. We optimised the .Net client by ensuring no more than 70 thread call the rest API, I chose 70 threads as the Neo4j Server allocates 80 threads on the JVM, so we might as well be just below this value. This is absolutely amazing, by matching the number of simultaneous threads to call rest operations to the reserved threads neo4j has, we have a 5 times performance increase!!! We also noticed CPU utilisation is much more efficient now. 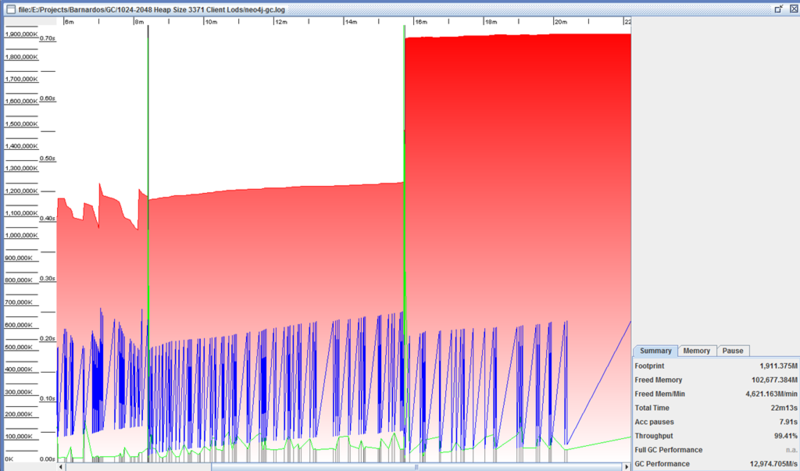 Now with the new thread optimised, we were able to do a full load into the system. With no errors. MyStory Welcome, Temporary from MyStory Administration. Logout? By configuring the .Net client to use a similar number of threads that Neo4j uses, we were able to achieve a 5 times performance boost. The processor utilization also became allot more efficient. Notice Neo4j has 80 threads, so we limit the rest calls to roughly this amount, I chose 70 threads. Note: My machine has 8 cores, Neo4j allocated 10 threads per core, therefore your code should detect how many cores there are and then allocate the threads of 10 threads per core!! e,g if you run it on a dual core, Neo4j will only have 20 threads. Once we fixed the threading issue, by matching the threads on the consumer to Neo4j, we then decided to test batching rest requests. We implemented batching in the Neo4jClient NuGet package, this will reduce the amount of REST calls to the server for each node it needs to create, so if a node needed two relationships, instead of doing 3 rest calls, we do one rest call. The batching did not introduce any significant performance improvement when it only batched on average two rest calls. However, we will do another test run with indexing rest calls as perhaps you only notice this for a certain amount of rest calls batched together. We now included the indexes in the batch request. We noticed that sometimes web calls would timeout, but since we use the CIRCUIT BREAKER pattern, the service level always stayed above 80% and never tripped. [04:58:39] [Thread 91] Error occured importing client EAW2000203-Child4128. Started this attempt at 26/09/2011 4:58:37 AM +00:00. Started the very first attempt to import this client at 26/09/2011 4:58:37 AM +00:00. [04:58:39] [Thread 91] Circuit breaker now reports the service level as 80. [04:58:39] [Thread 101] Circuit breaker now reports the service level as 100. [04:58:42] [Thread 69] Error occured importing client EAW2000002-Child3994. Started this attempt at 26/09/2011 4:58:40 AM +00:00. Started the very first attempt to import this client at 26/09/2011 4:58:40 AM +00:00. [04:58:42] [Thread 69] Circuit breaker now reports the service level as 80. [04:58:42] [Thread 24] Circuit breaker now reports the service level as 100. [04:59:13] [Thread 22] Error occured importing client EAW3000118. Started this attempt at 26/09/2011 4:59:11 AM +00:00. Started the very first attempt to import this client at 26/09/2011 4:59:11 AM +00:00. [04:59:13] [Thread 22] Circuit breaker now reports the service level as 80. [04:59:13] [Thread 58] Circuit breaker now reports the service level as 100. [04:59:28] [Thread 99] Error occured importing client EAW3000105-Child4273. Started this attempt at 26/09/2011 4:59:26 AM +00:00. Started the very first attempt to import this client at 26/09/2011 4:59:26 AM +00:00. [04:59:28] [Thread 99] Circuit breaker now reports the service level as 80. [04:59:28] [Thread 89] Circuit breaker now reports the service level as 100. 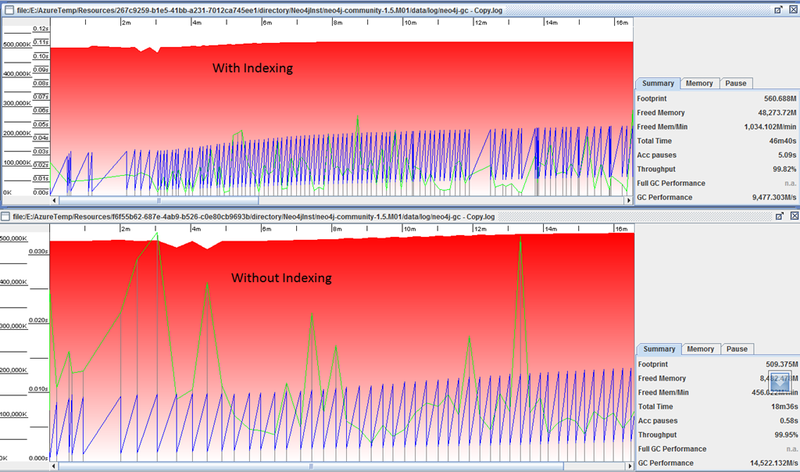 Also, CPU Utilisation was high with the indexing, proving efficient use of CPU. 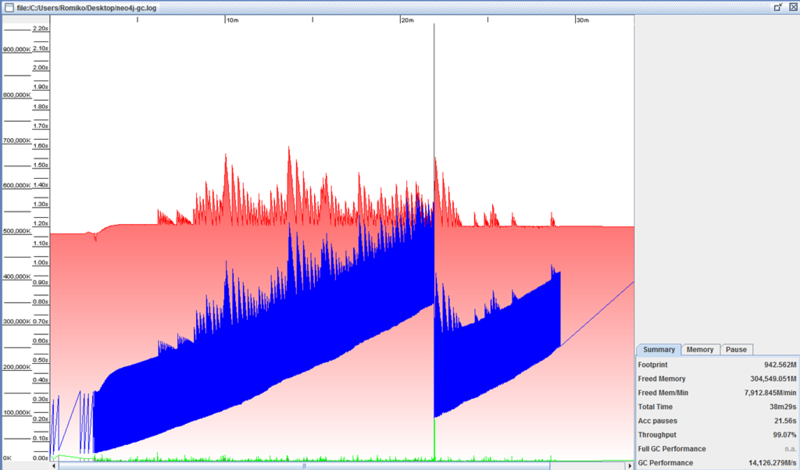 Below is a graph of heap usage importing 37000 clients, with all the optimisation and tweaks. This run in around 30 minutes. Note, heap size did not need to grow beyond 512, as gremlin queries are parameterised. 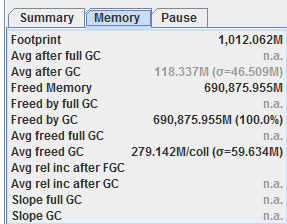 Increasing Heap Size to 512m –> 1024m was sufficient to reduce GC collection. Increasing Stack size from 1024 –> 2048k improves multiple thread operations. 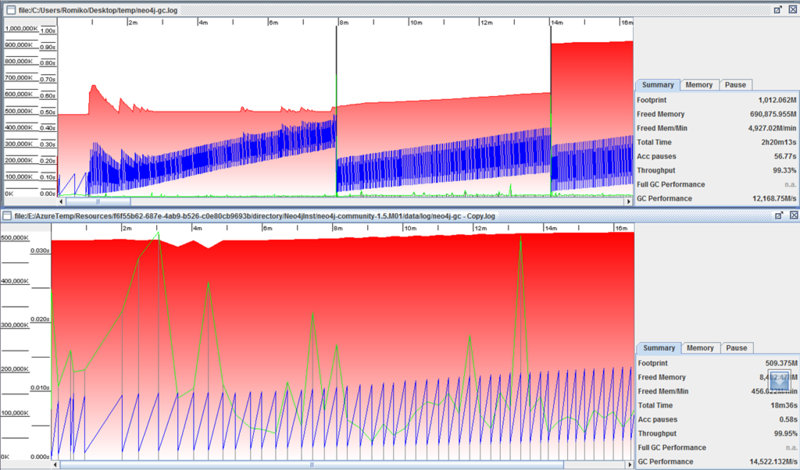 Switching on GC logging is definitely a good way to get a view of how your heap is being used. Disabling neo4j transaction roll over logging did not improve performance. Disabling the Lucene index creations via the REST API solved the instability issues with the Rest API. 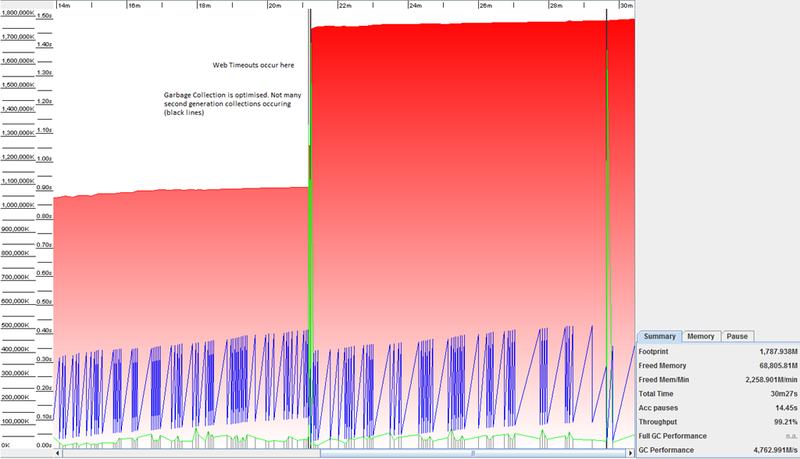 optimising the threads on the client, and using parameterised queries removed the instability issue. The REST API calls are causing the system to become unstable (Out Of memory errors). If the threads are optimised on the client with the use of parameterised gremlin queries, upgrade to Neo4j1.5.01M, incorporate batching, then Lucene indexing is also optimised. 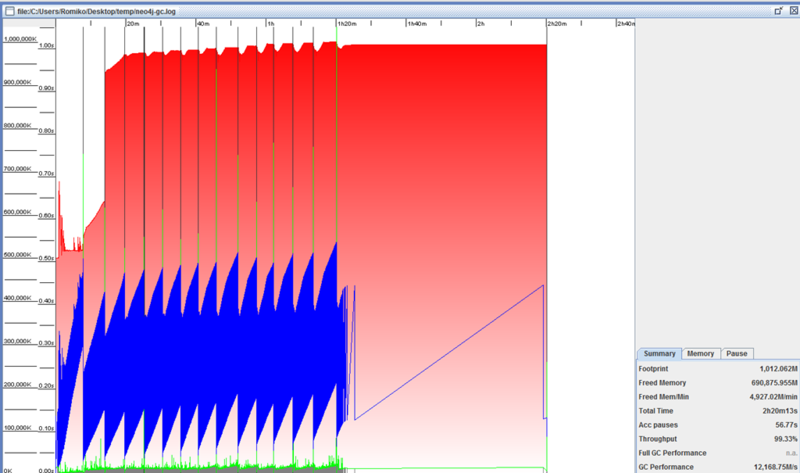 CPU utilization is much more efficient after thread optimisation. Parameterised queries and upgrading to Neo4j1.5.M01 increased performance and DRASTICALLY reduced the frequency of the heap size usage thus stabilising the heap usage. *** By configuring the .Net client that sent REST calls on different threads to limit the thread count to 70 threads, we were able to improve performance 5 fold. This is the most significant improvement. 70 threads were chosen to match the similar number (80) that Neo4j reserves in the JVM. +- 35 nodes per second as compared with 5-6 nodes per second. We now implemented batching in the Neo4Client NUGet package to further increase performance. A separate issue has been created to investigate why the REST API for indexes causes the system to become unstable. Also, take a look at the batching support in the REST API, with pure node inserts, you can do 50 000 nodes at a time, with response times of about 17 seconds on a non-optimized setup. Thanks again for the feedback, let us know if that helps! The batching is scoped per client node, so we still call the rest api for each client node we create, but we batch the relationship and index calls in that call. so instead of 3-9 rest calls, we have 1 call per client. So 37000 clients = +- 74000 rest calls, 1 for creation and 1 for check exist query(not batched). 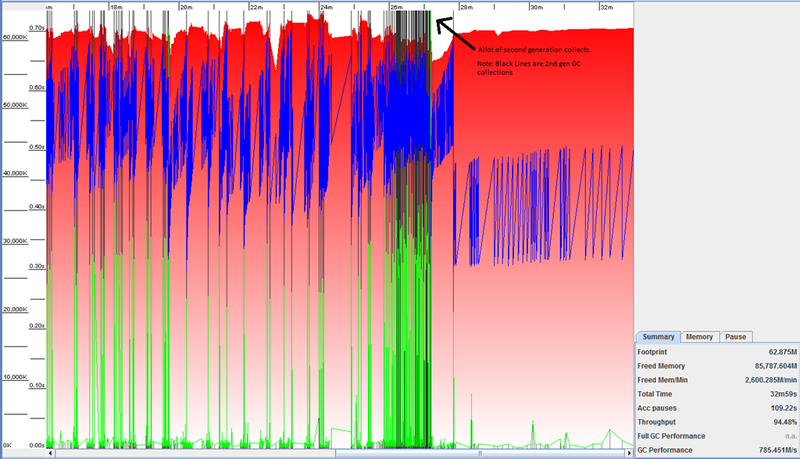 controlling the number of threads on the .net client to 70 was the major performance booster and kept the system stable. 70 is similar to the JVM size of neo4j which is 80. Desired performance achieved, blog updated 🙂 The Neo4jClient now has build in support for rest batching when creating nodes. Threading has been updated. Neo4j allocates 10 threads per core, we had it on 80, as we got 8 cores on the test machine. 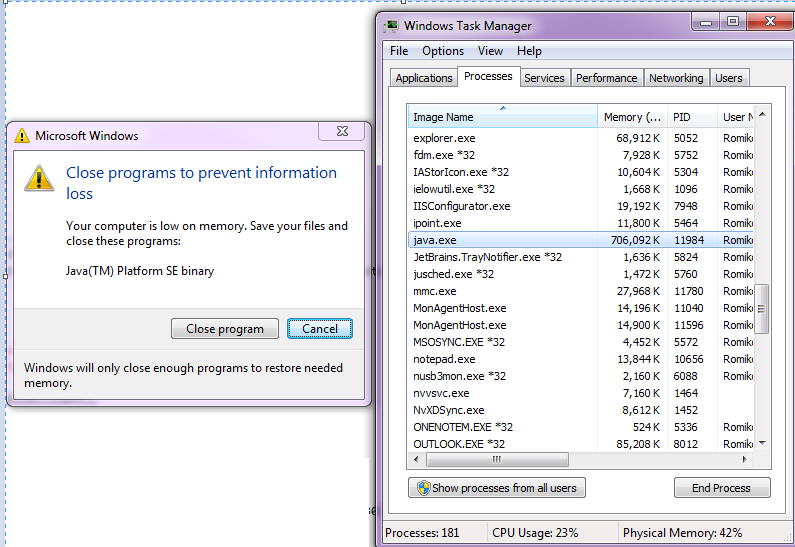 So be aware that the magic number for your client will be different depending on the number of cores. E.g. for our stress test we use this rule to allocate threads when calling neo4j on multiple threads. Can you explain what exactly you mean by parameterised gremlin queries? We are facing performance issues with Neo while using the Gremlin queries in a batched operation scenario. Still looking into how we can use the batch operations, but thought we could learn something meanwhile. Parameterised gremlin queries, means that instead of passing values in the code, this means the jvm will only compile the query once, since the actual query has not changed only params, which reduces the use of the jvm heap. Batching is intrinsically supported, e.g when you create a node and pass in index entries, it will batch the rest calls. Thanks for the clarification! I’d checked the documentation again and found it, and came back here to thank you…. 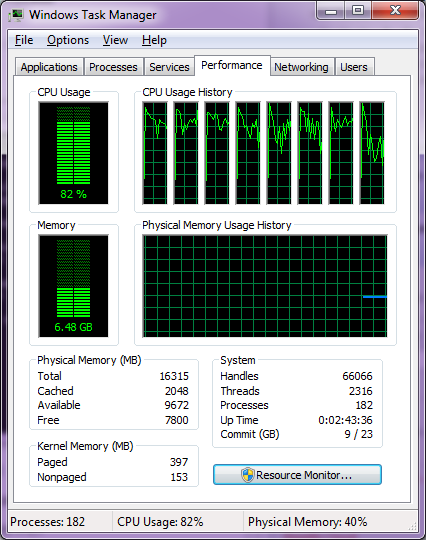 my batch process that used to take 258 ms per document, is now taking 16 ms !!! Could have kicked myself for not having seen that before! Awesome! Thanks again! Martin, you 100% right man!